The iSeq 100 System makes next-generation sequencing easier and more affordable than ever. Labs of all sizes can now easily sequence small genomes, interrogate gene sets, analyze gene expression, and more. Advance your research with powerful, cost-effective sequencing. iSeq 100 i1 Reagents are required to use the iSeq 100 System. These reagents include a flow cell and all necessary sequencing reagents integrated into a single cartridge. Two options are available: a single cartridge and a 4 pack. The iSeq 100 System Air Filter and iSeq 100 System Drip Tray Pads are optional accessories. iSeq 100 Reagents include a flow cell and the necessary sequencing reagents for running the iSeq 100 System. PhiX Control ready-to-use control library derived from the small, well-characterized PhiX genome. You will need one library preparation kit to prepare DNA or RNA libraries before sequencing. Find the right kit for your sample type and application. 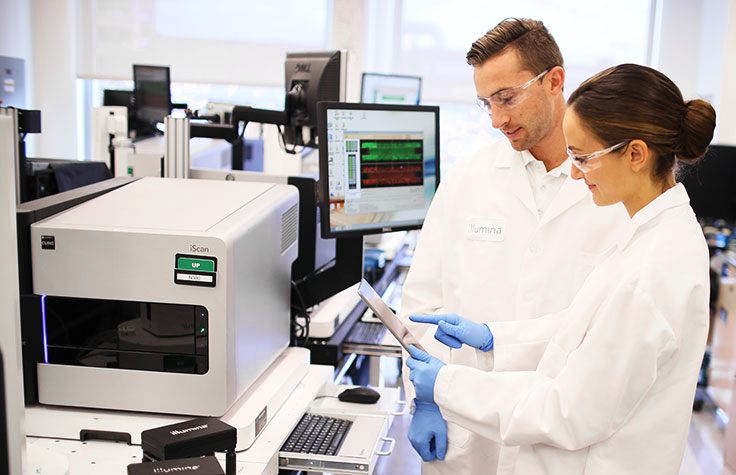 While the iSeq 100 System is easy for users to install, Illumina scientists and engineers can provide additional support to help you get started. Our qualification services help labs meet compliance requirements by verifying correct instrument setup and operation. Illumina provides consulting services to help you successfully implement sequencing workflows. Whether you are newly applying NGS or ramping up high-throughput, production-scale sequencing, our highly experienced and dedicated global network is here to help. A comprehensive one-year warranty at our Basic Plan service level is included with every new Illumina instrument purchase. We also offer tiered Product Care service plans, so you can choose the right level of service for your lab.